Who says you have to be a couch potato when you watch the television? One of our favorites, Del Monte Kitchenomics continues to get viewers off their couches and head off to their kitchens to whip up delicious yet family-approved and budget-friendly recipes. Tune in to GMA 7 on Feb 19, 2014 for the first episode and new season of the Del Monte Kitchenomics cooking show. This will be hosted by Kapuso actress Carla Abellana and celebrated Chef Jackie Ang-Po. Aside from this pretty tandem, the people behind Del Monte Kitchenomics also promise viewers more than just another cooking show. Although the Del Monte Kitchenomics cooking show has been around for 30 years, viewers can still expect a lot of exciting recipes from this show. The Del Monte Test Kitchen has been busy developing new recipes using new products and ingredients. 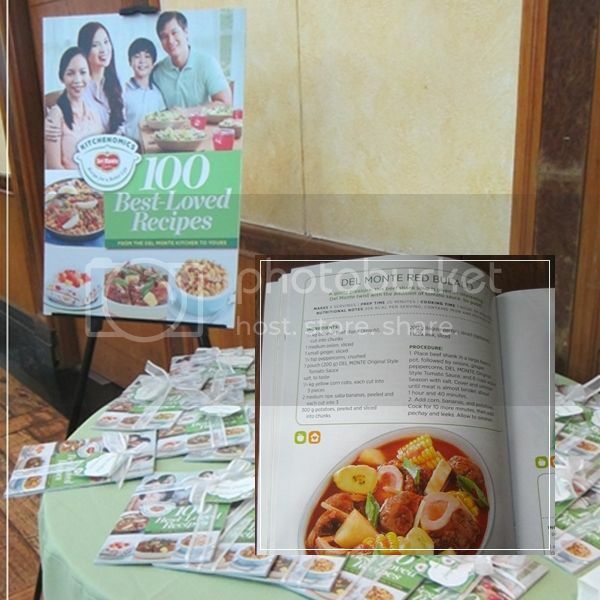 All the recipes from Del Monte Kitchenomics have been tested many times over to assure consumers that they will get the same results when they follow the recipes to the letter. 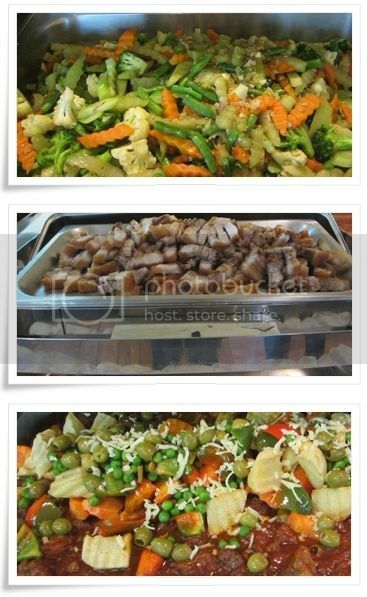 These recipes also had to pass Test Kitchen Team’s rating requirements before they are released. 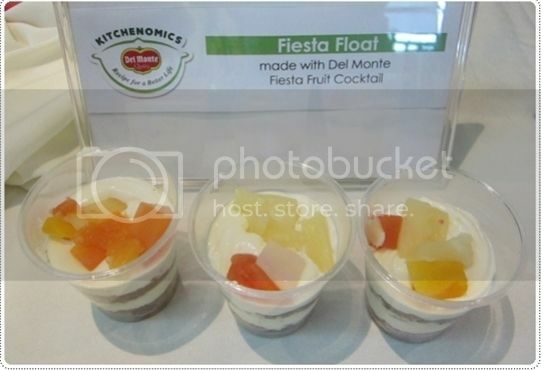 At the Del Monte Kitchenomics Bloggers’ Conference, I got to taste two of the dishes from the Del Monte Test Kitchen’s 100 Best-Loved Recipes – the Kaldereta and the Fiesta Float. Now that I have my own copy of the cookbook (thanks to the Conference organizers), I can recreate these dishes for our family. I’m excited to watch the Del Monte Kitchenomics cooking show to learn more delicious, healthy, and hearty dishes, from appetizers to desserts. Aside from the new dishes and the new hosts, this new show will “be even more fan-engaging as it will be very easy for our active Facebook Fans to be guests on our show and we’ll be featuring many of our members’ Most Requested Recipes,” according to Susie Aquino (senior product manager, Del Monte Kitchenomics). 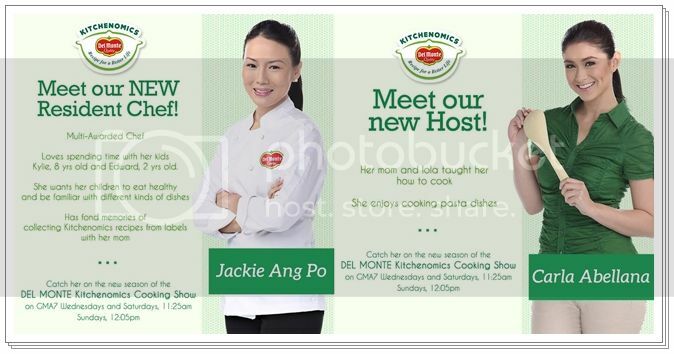 The tandem of Carla and Chef Jackie is something to look forward to in the new season of the Del Monte Kitchenomics cooking show. They will surely perk up the show even more with their lively banter. Both of them are avid users of Del Monte products even before they became brand ambassadors. 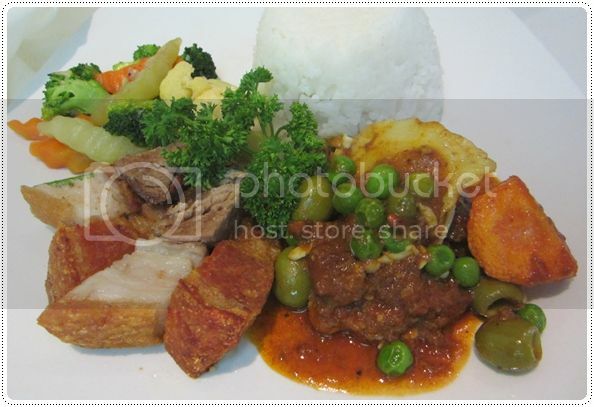 Chef Jackie confessed that her favorite is the Del Monte Tomato Sauce which is a staple in her kitchen. Carla, on the other hand, absolutely loves the pasta sauces for her specialty dishes, Spaghetti and Carbonara. 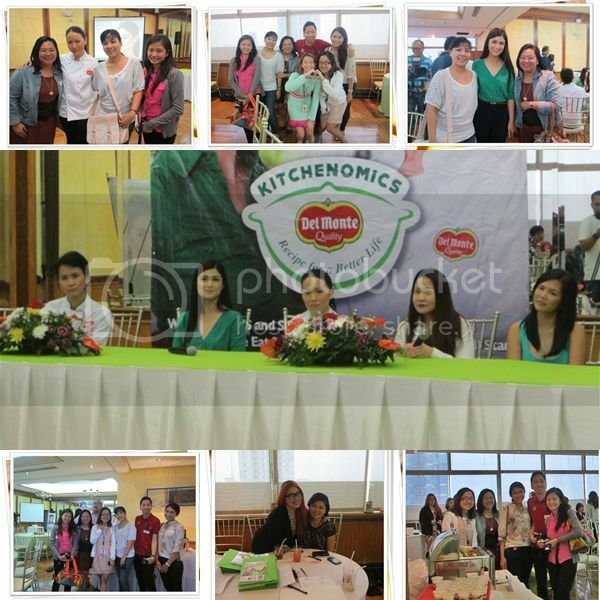 Photos with Stars of GMA Del Monte Kitchenomics, fellow Foodies and GMA Social Media Specialists. For easy-to-prepare, healthy, delicious, and budget-friendly dishes, watch the Del Monte Kitchenomics cooking show on GMA Channel 7 every Wednesday, Saturday, and Sunday before the network’s noontime programs Eat Bulaga and Sunday All Stars.